On odd days, Tripp uses a school practice room to let loose on a borrowed guitar. Eyes closed, strumming that beat-up instrument, Tripp escapes to a world where only the music matters. On even days, Lyla Marks uses the same practice room. To Tripp, she's trying to become even more perfect—she's already a straight-A student and an award-winning cellist. 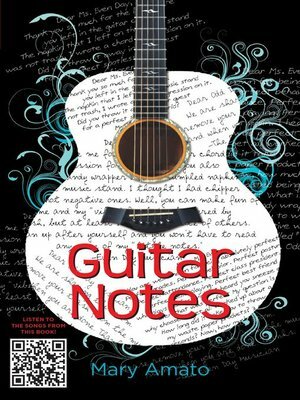 But when Lyla begins leaving notes for him in between the strings of the guitar, his life intersects with hers in a way he never expected. What starts as a series of snippy notes quickly blossoms into the sharing of interests and secrets and dreams, and the forging of a very unlikely friendship.